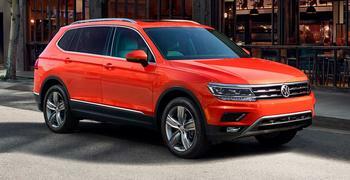 Volkswagen Group of America is recalling four model year 2018 Tiguan long wheel base (LWB) vehicles. The engine support bolts on these vehicles may not have been tightened properly. Volkswagen will notify owners, and dealers will replace engine support bolts, free of charge. The recall is expected to begin in March 2018. Owners may contact Volkswagen customer service at 1-800-893-5298. Volkswagen's number for this recall is 10F7.